Having experienced the "appification" of almost every service in the last years, the next stage will be to kill off even more items in your pockets. I believe the next big thing that will disappear is our wallet. 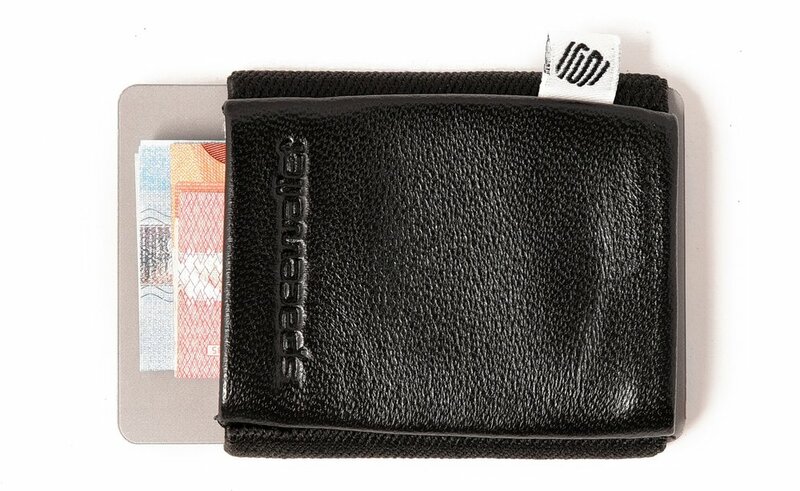 Do you still own a wallet? I still use a very small one, called Space Wallet (no affiliation) which is just a fraction of the classic wallets you might know. But I'm eager to drop even that, but there is still a need for all those cards and even cash money at times. I think there are still a lot of hurdles in Germany, for example, to fully embrace technology in some areas. Services like Apple Pay or Payback are trying their best to give consumers an easy way to pay and gather points virtually through an app, respectively their phone. Yet, the majority is still using cash or credit cards for buying coffee, shopping online, etc. In a recent trip to Shanghai, China I was introduced to a whole new world of possibilities with the dominating app by Tencent called WeChat. Those who travel regularly will know this app, but most of the Western world might not yet know about this. But what WeChat does, it is basically a preview for us of what's to come. In 2017 the service introduced a payment option that integrates into the messenger. So today, you can almost remotely control your whole day with WeChat in a Chinese environment, with no need of anything but your phone. Need to schedule a doctor's appointment, want to order some food or simply pay for your green tea in the park? Just scan a code with the WeChat app and its done. No need for a wallet, credit cards etc. Now imagine that soon, apps like Facebook, WhatsApp or Instagram will offer comparable services and follow suit. There are a lot of signs already that show this movement in the West as well. Apple's services around payment options, healthcare, and education map to a lifetime service based on digital products that can be used through a simple fingerprint sensor on your phone. It may be scary and close to a dystopia to some people, but this is the way it might be not very far away. It will definitely be sooner here then autonomous driving or AI controlled services or robots. With the rise of cryptocurrencies around the globe, what will currency even mean for us in ten years? I believe that there is much more potential to save time and money to become a more mobile-driven society that embraces technology, rather than fears it. Of course, you have to take everything with a grain of salt, when comparing societies that work fundamentally differently, but still, we should be open to new ways and rather try and fail as to stagnate and be eaten in a few years. I voiced my concerns before, so we will see how this plays out in the long run. What's your take on this? Do you have any app recommendations that make the wallet obsolete? Be sure to leave a comment. Older PostNintendo Labo: Innovation or Just Expensive Cardboard?